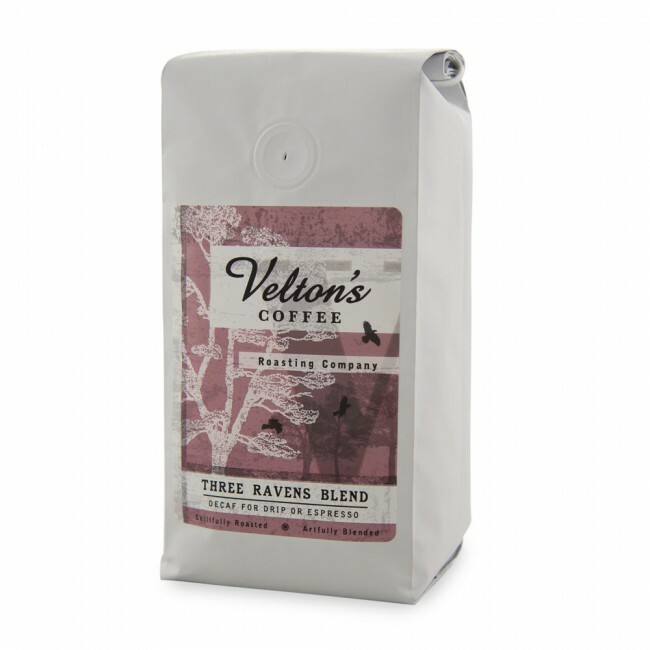 Velton's Three Ravens Blend Decaf Espresso is produced by a small roastery focused on quality control at every turn. Only the highest quality beans are considered. All of Velton's coffee is roasted in small batches, hand blended, and promptly packaged in the highest quality bags (with one-way degassing valve) to ensure maximum freshness. This amazing Velton's decaf espresso blend is decaffeinated via Water and Sugarcane EA process (all natural and no chemicals!). It brews a full-flavored drip coffee or pulls beautifully as an espresso. 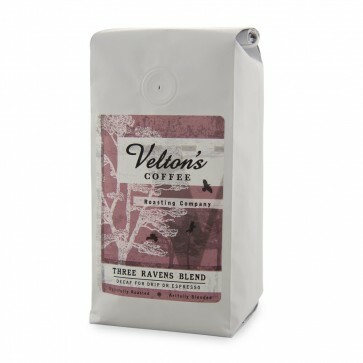 Velton's decaf coffee is great for drip or espresso preparations.